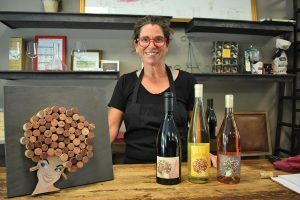 Owner Maria Chiancola with wines from her wine label, Tipsy Rose. Chiancola’s first store was a 350-square-foot space on Bellevue Avenue across from Hotel Viking. 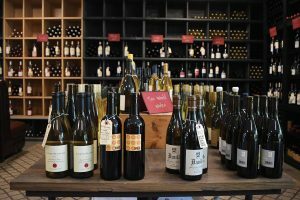 A year later, the space next door opened up and she decided to open a cheese shop there, since, “I believe food and wine should be paired together,” she said. The cheese shop eventually became Le Petit Gourmet, a specialty market and cafe, similar to the Gourmet she now runs. 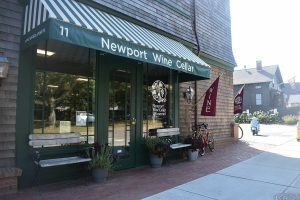 In January 2016, Chiancola moved both shops to her current location on Memorial Boulevard, where she now splits her time between the Newport Wine Cellar and the adjacent Gourmet, which provides a full lunch menu along with prepared foods such as steak au poivre, coq au vin or lasagna. 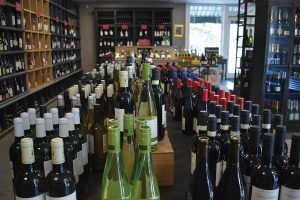 The Gourmet offers counter service and a BYOB option, so guests can purchase a bottle of wine in the wine shop and enjoy it with their lunch in the Gourmet, or buy meals and a paired wine to put together dinner at home. 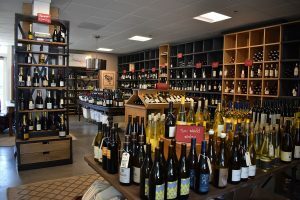 Visitors of the Newport Wine Cellar will find an ever-evolving inventory of wines with smaller-production labels and from family-owned wineries, along with select boutique spirits and craft beer. 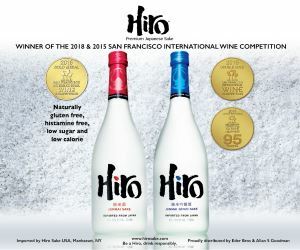 Both businesses focus on products that have been produced responsibly, using sustainable agricultural practices, an important movement to Chiancola and her customers, which has become more mainstream in recent years. 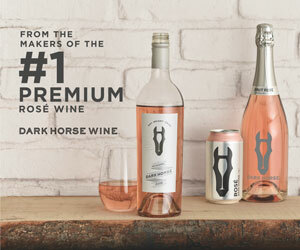 When Chiancola isn’t working in the wine shop and Gourmet, she spends time on her latest side project, producing wine under her own wine label, Tipsy Rose. 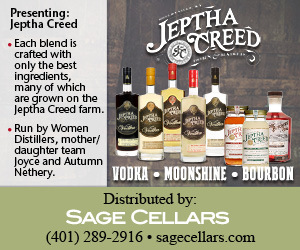 She sources the grapes from several vineyards in Napa and produces several varietals each year. Last year’s harvest yielded a rosé, a red, a Grenache, a Syrah, a rosé of Grenache and a Viognier. 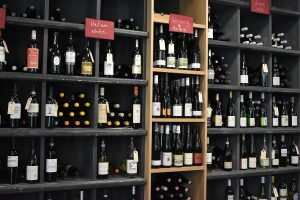 The Newport Wine Cellar gives customers the chance to learn more about wine with complimentary in-store tastings each Friday and Saturday evening, along with paid seminars for those who are interested in learning more about wine varietals, trends and their own palate. The exterior of Newport Wine Cellar & Gourmet. Inside the Newport Wine Cellar.